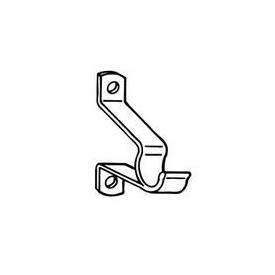 7/16" cafe curtain bracket clearance 3/4", by Kirsch -- BasicQ Inc.
For7/16 inch cafe rod clearance of 3/4". Brass finish. Priced by the pair.